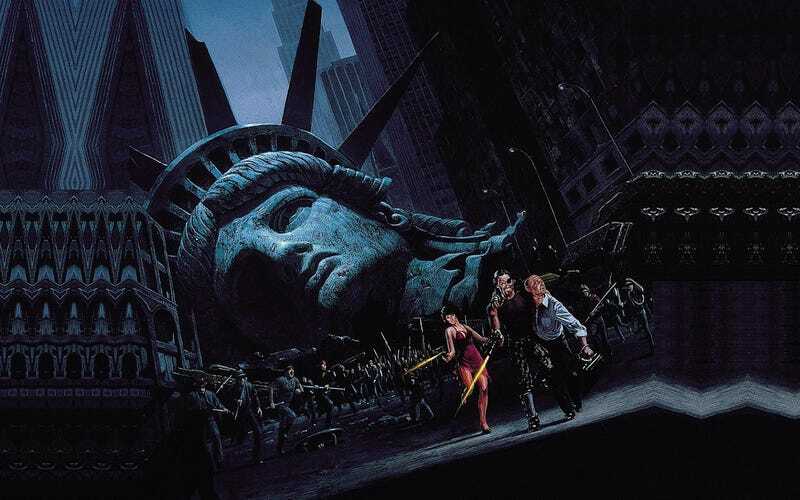 After a reportedly very long and competitive bidding process, Fox has emerged the victor and has secured the rights to remake Escape From New York. Deadline reports that any rumors you may have heard about the project aren't true, since the deal has them starting from scratch. So the rumors about Snake Plissken being played by Charlie Hunnam, Jon Bernthal, or Dan Stevens? Not true. And the rumors about the remake being more "team-based" can't be true, since there's no script yet. It should be no surprise at all that Fox is hoping to get a huge franchise out of this deal, because franchises are pretty much the goal of studios these days. Plus, the fact that the deal for the rights was so competitive seems to hint that it was also expensive, so more than one blockbuster from it would be nice for Fox. On the one hand, there is something to the oft-repeated complaint about Hollywood making too many remakes. And John Carpenter remakes haven't exactly been sterling examples of that much-maligned genre. On the other hand, Mad Max: Fury Road looks awesome. Maybe this'll be approached with the same gusto.